This is the show I was speaking of on Friday … please come by and share with your students! 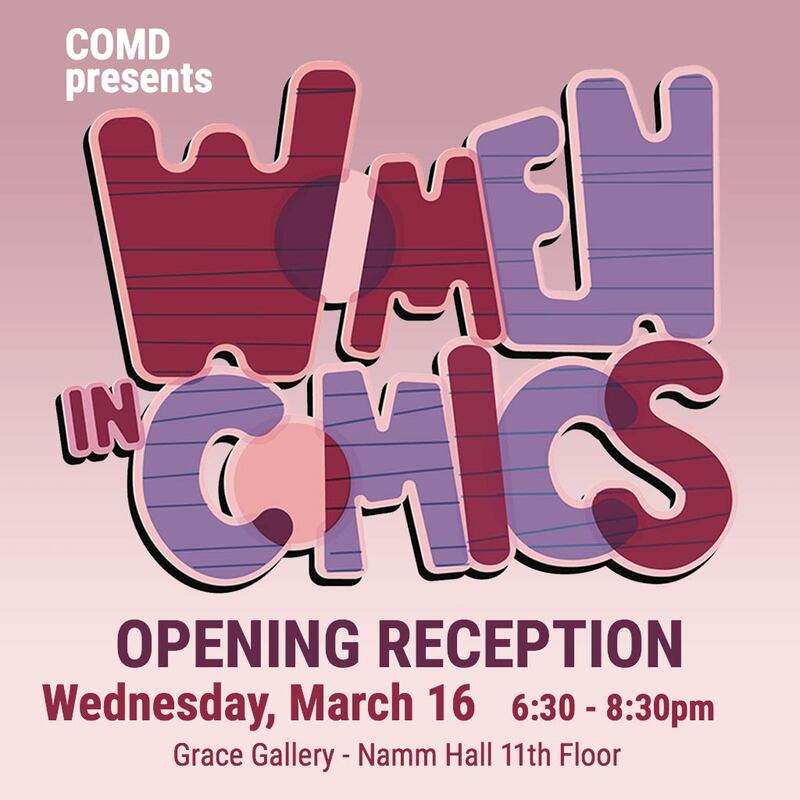 Women in Comics Exhibit in the Grace Gallery. Featuring female artists spanning all aspects of the comics industry; from Marvel and DC to Independent Comics. These amazing creators are artists, writers, and entrepreneurs … and the show even features a City Tech alum! This entry was posted in Uncategorized on March 14, 2017 by Sara Woolley Gómez. Using the reply tool, express how you know when our students are developing ethical reasoning skills. This entry was posted in Uncategorized on March 10, 2017 by Prof. Karen Goodlad. The AAC&U published a new report that will probably prove useful to many of us as we begin to design our general education assignments. The Ethical Reasoning Rubric we will use to assess our work is one of the AAC&U VALUE Rubrics. I would like to exchange thoughts on this report. This entry was posted in Uncategorized on March 1, 2017 by Prof. Karen Goodlad. The event described below will be a great introduction to our place-based learning activity on March 17. More details will follow but on the 17th we will welcome leaders planning the BXQ rail line which is projected to run along the waterfront through Brooklyn and Queens. What ethical reasoning practices are in action during this time? New York City is planning its first streetcar for a 16-mile route along the Brooklyn and Queens waterfront. As it embarks on this project, what does New York have to learn from other cities, both nationally and internationally? How have streetcars help addressed urban transportation challenges? Please join RPA for this special program with experts from Portland, San Francisco, Budapest, and New York. Speakers include Congressman Earl Blumenauer; New York City Deputy Mayor Alicia Glen; David Vitezy, Former CEO of the Centre for Budapest Transport; Alicia John-Baptiste, Deputy Director, SPUR; and Rick Gustafson, Executive Vice President, Shiels, Obletz, Johnson and former COO and Executive Director for Portland Streetcar, Inc. Space is limited. Please RSVP to events@rpa.org. Where do you find case studies? What challenges or successes do you have when using case studies in your courses? This entry was posted in Uncategorized on February 6, 2017 by Prof. Karen Goodlad. I am sharing these links of faculty and student work around role play and in the case role play with Legos! Patrick Corbett helps students explore their emotions as a result of our recent election and provides the out come in these links. This entry was posted in Uncategorized on November 14, 2016 by Prof. Karen Goodlad. Stella and Charles Guttman CC, is part of a year long study conducted by “The Take Away”. In this podcast students express their experience with place-based learning. What do you think your students will say after their place-based learning opportunities? This entry was posted in Uncategorized on April 4, 2016 by Prof. Karen Goodlad. This entry was posted in Uncategorized on March 17, 2016 by Prof. Karen Goodlad. This entry was posted in Uncategorized on February 26, 2016 by Prof. Karen Goodlad. What can teaching teachers really be? What is innovation and innovative? We shared a lot through the semester do I thought I would continue to share. Here is a recent post from NPR that makes me ever more hopeful for innovative innovation! This entry was posted in Uncategorized on June 17, 2015 by Prof. Karen Goodlad.